Christmas is on the way! Whether you’re designing festive party flyers, looking for Christmas mockups, or a holiday icon set, we have a great collection for you today! 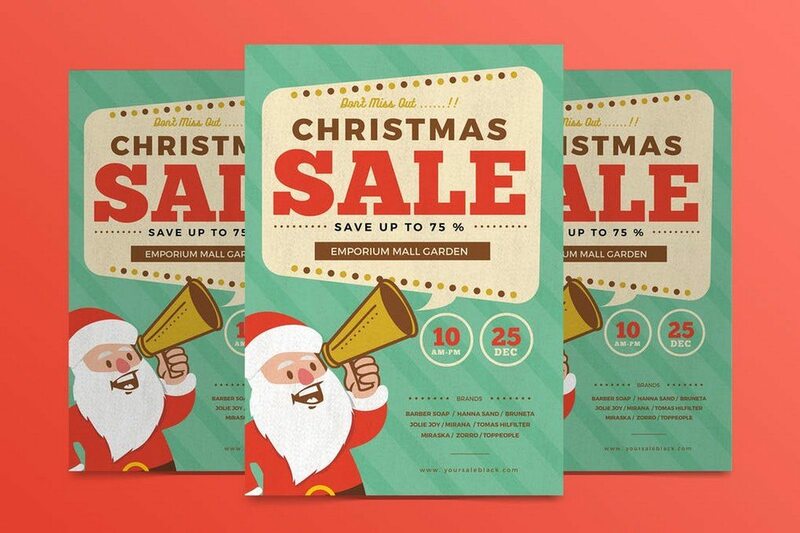 We’ve pulled together a fantastic collection of Christmas flyers and templates, mockups, icons, vectors, and much more. Some of them are completely free, some cost a few dollars, but all of them will get you in the festive spirit. Have fun looking through this selection of resources, and we hope you find a few that help out with your holiday design work! No need to go shopping for Christmas cards or New Year’s cards. 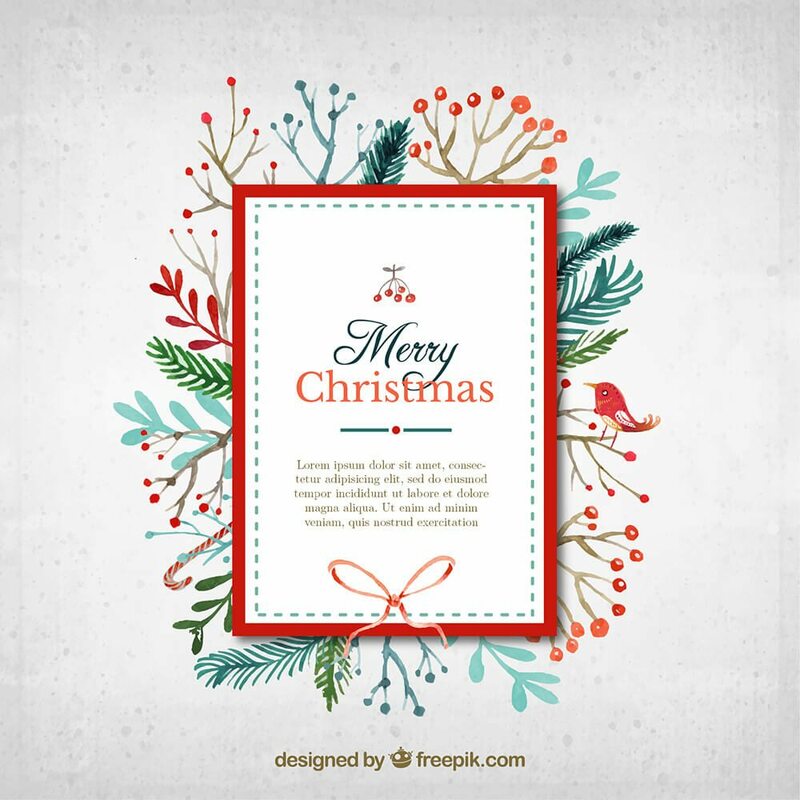 With this massive pack of Christmas cards templates, you can print your own unique cards to send to your friends and family. 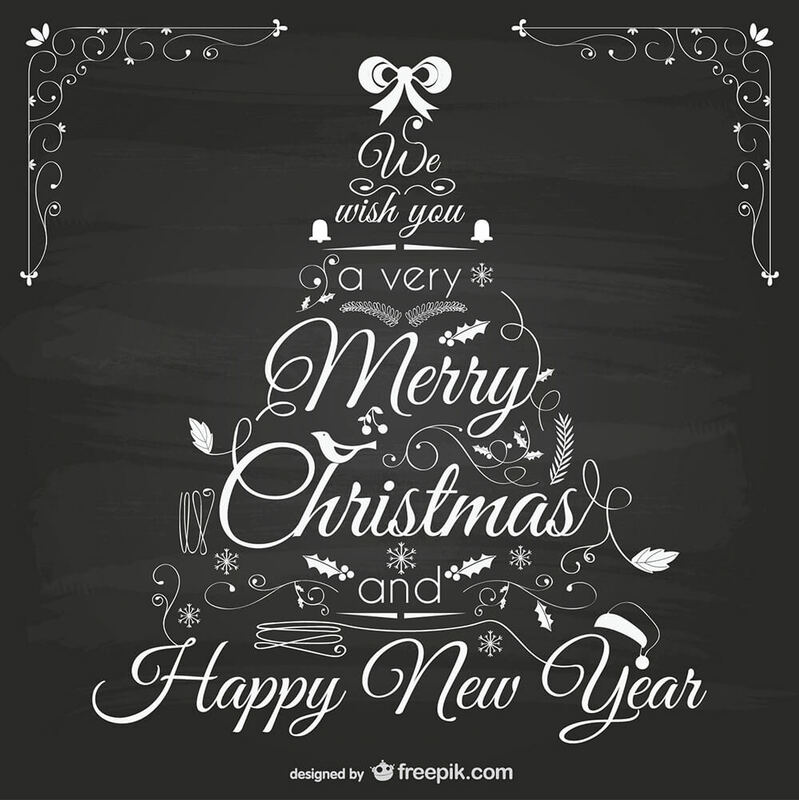 It includes 78 Christmas and New Year’s greeting cards templates. 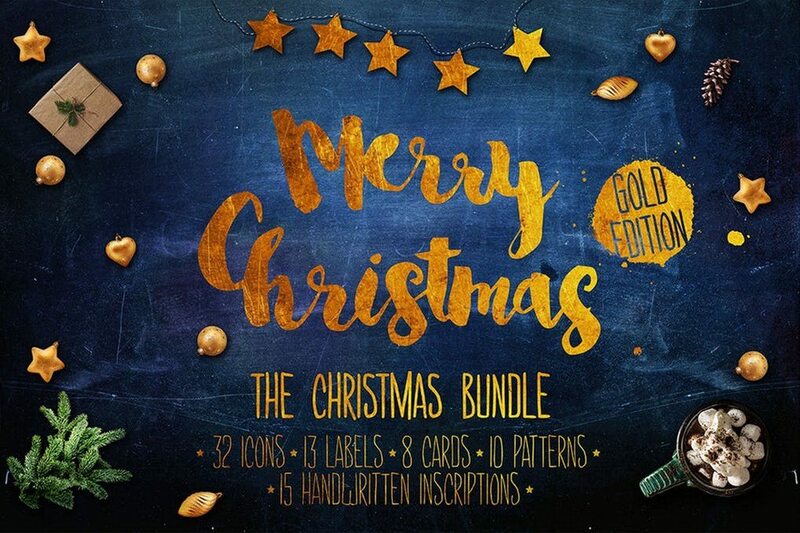 This is a special bundle full of various Christmas themed elements including different types of graphics and illustrations. 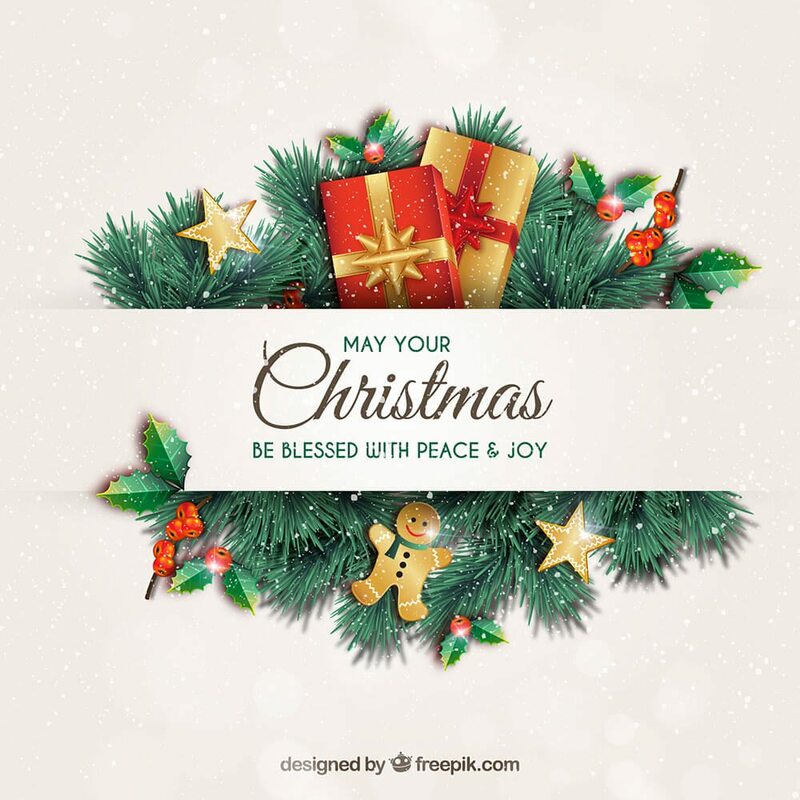 As a bonus, you will also get 2 beautiful print-ready Christmas greeting card templates as well. 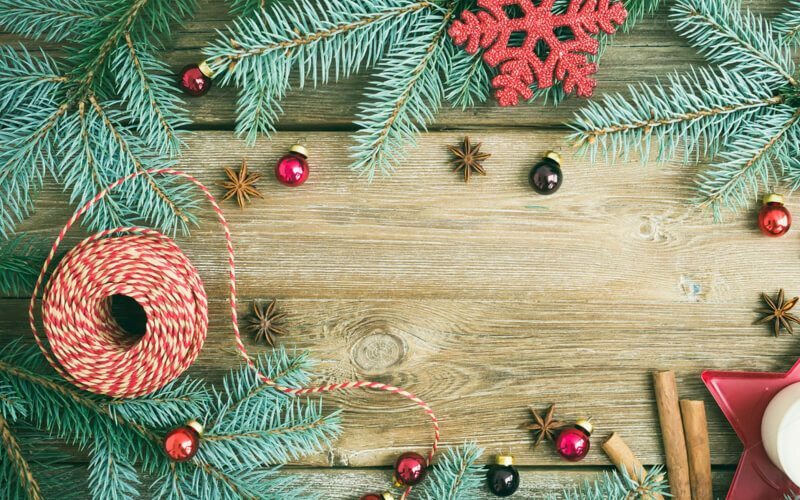 Are you working on promoting a special Christmas event? This cool flyer template will help you with the marketing process. You can easily edit and customize this A4 sized template to design a flyer to promote your holiday events. 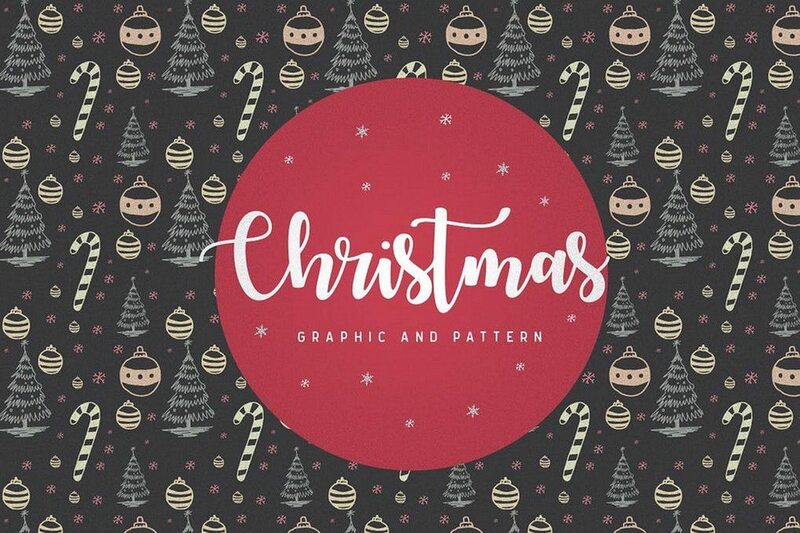 Whether you’re designing graphics for a website, social media posts, flyers, or greeting cards, this pack of Christmas icons has got 50 beautiful graphics that will add a great festive look to your designs. 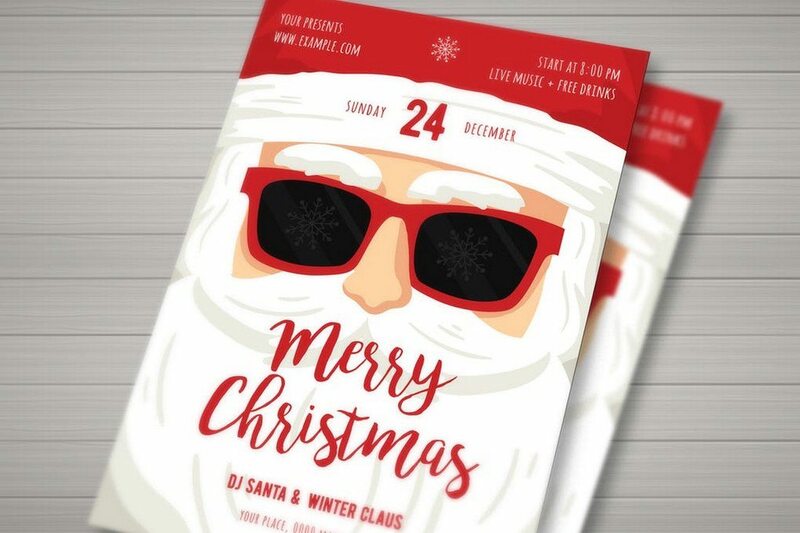 Another Christmas flyer template for promoting events, parties, and concerts. It includes both Photoshop and Illustrator formats, which allows you to freely edit and customize the template to your preference. 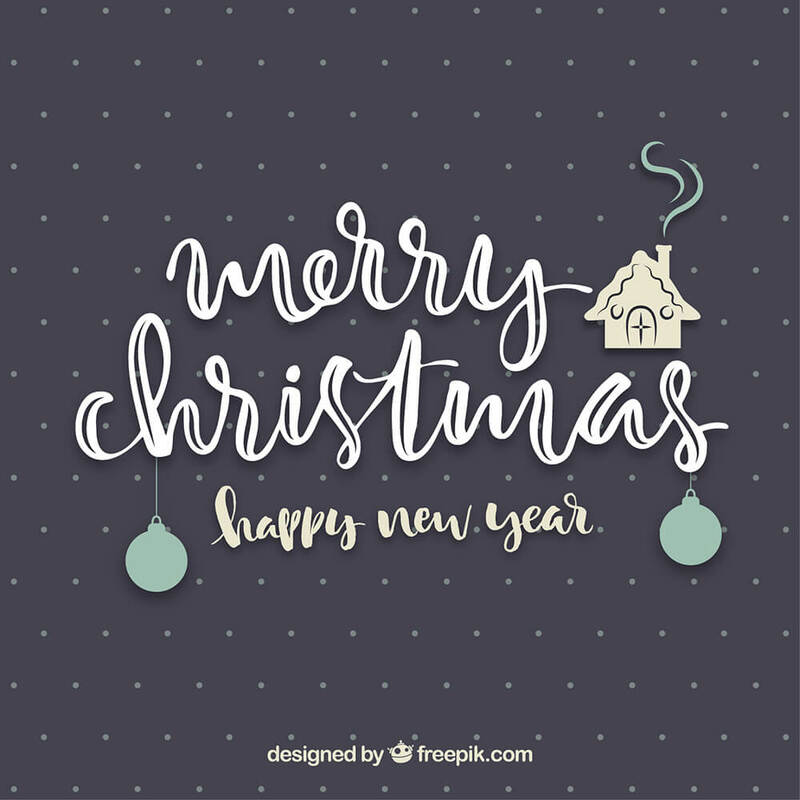 Easily design your own flyers, greeting cards, and social media posts using these gorgeous Christmas doodles. This pack comes with 48 unique vector doodles you can use with your designs. Another Christmas flyer that features a trendy retro design. It’s perfect for promoting holiday sales, concerts, parties, and various other events. 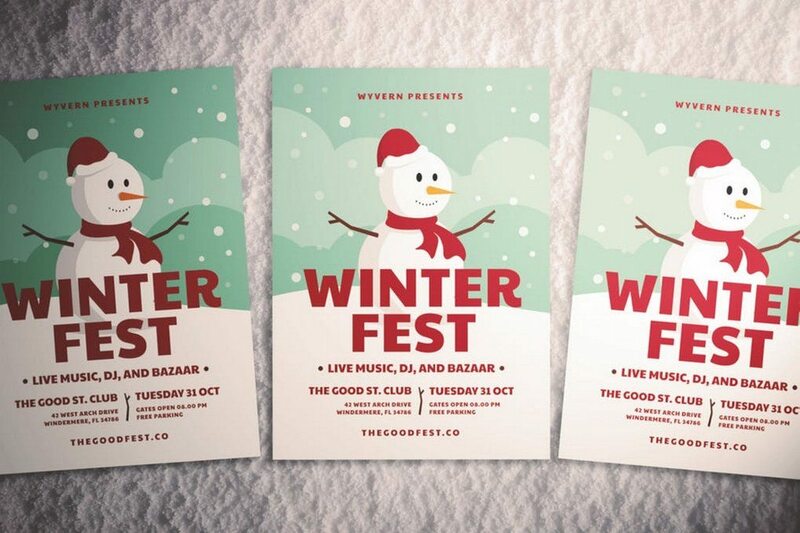 The flyer template comes to you in both Illustrator and Photoshop file formats. This one is a mixed bundle of Christmas resources. This special pack includes 32 Christmas icons, 13 Christmas labels, 8 postcard templates, 10 patterns, 15 handwritten Christmas inscriptions, and more. 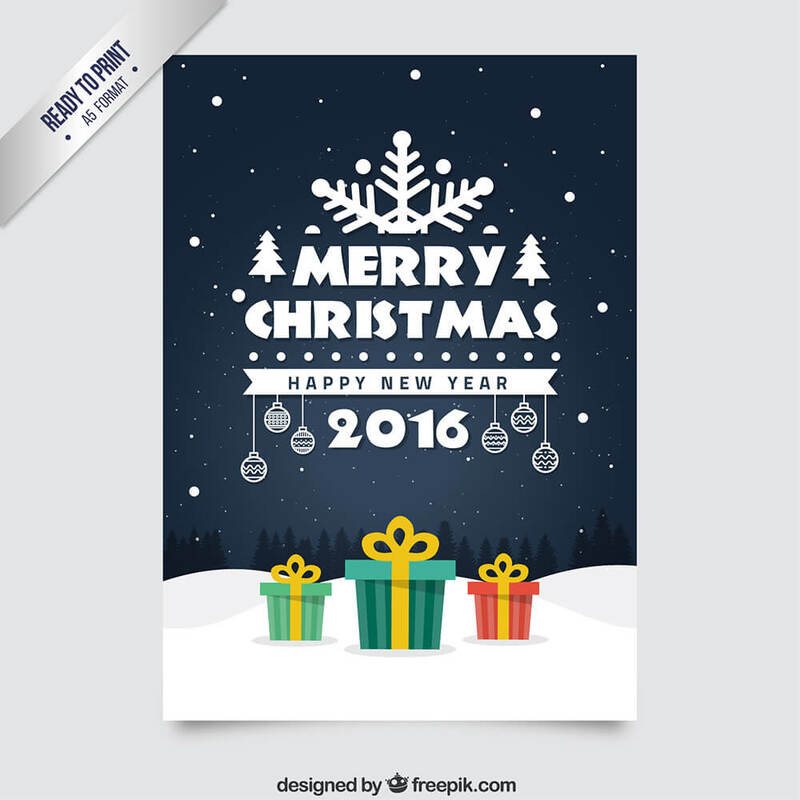 Design your own Christmas related graphics and greetings using this pack of vector illustrations. 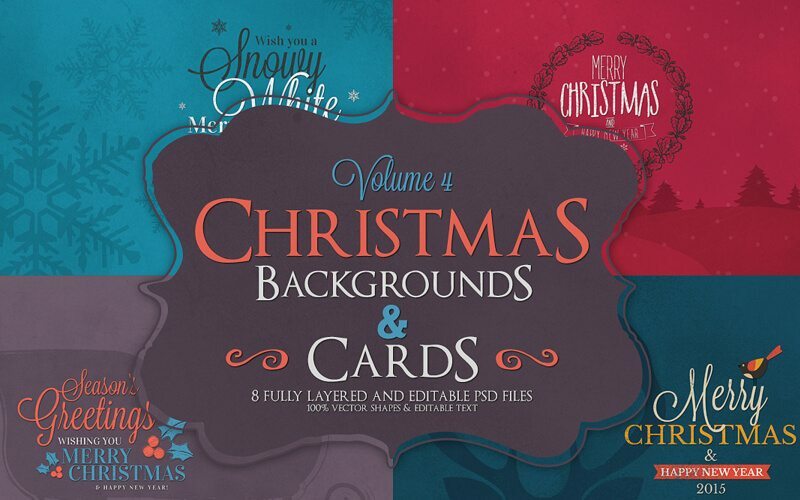 The pack comes with 50 premium Christmas illustrations in AI, EPS, and PSD file formats. 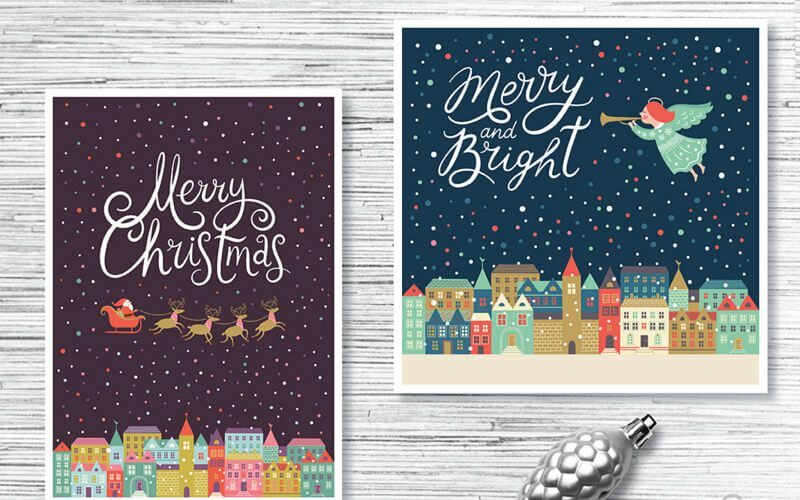 This bundle of Christmas illustrations features a vintage and a retro look. You can use them to design greeting cards, social media posts, and more with a classical design. It includes 17 different elements and 2 Christmas themed backgrounds. 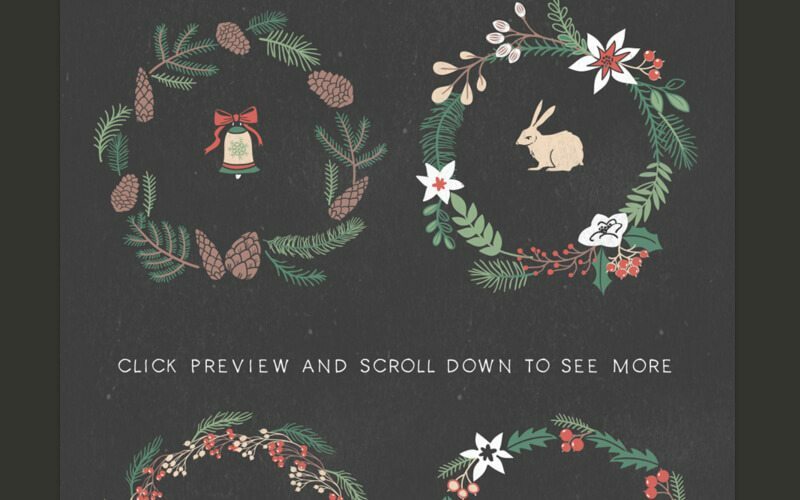 A set of 6 unique Christmas patterns and illustrations for crafting festive website headers, social media posts, and greeting cards. The files are available in JPG, PNG, and EPS formats. 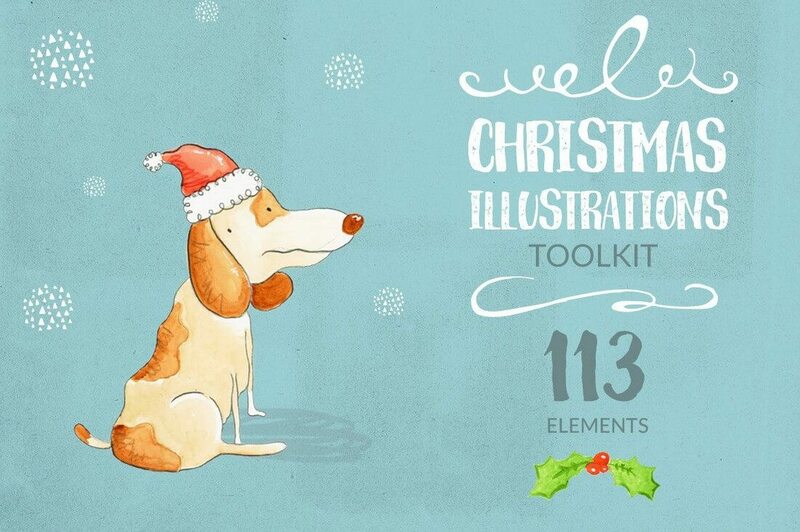 This is a fun pack of elements that allows you to create your own Christmas themed characters. You can create Santas, reindeers, elves and more by combining different elements from the pack. 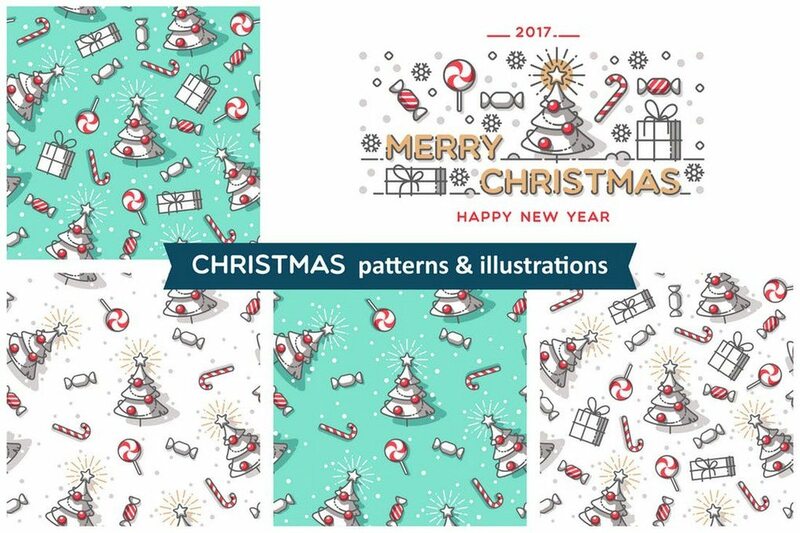 Another mixed pack of Christmas themed patterns and graphics. You can use these to design greeting cards, website backgrounds, flyers, and more. 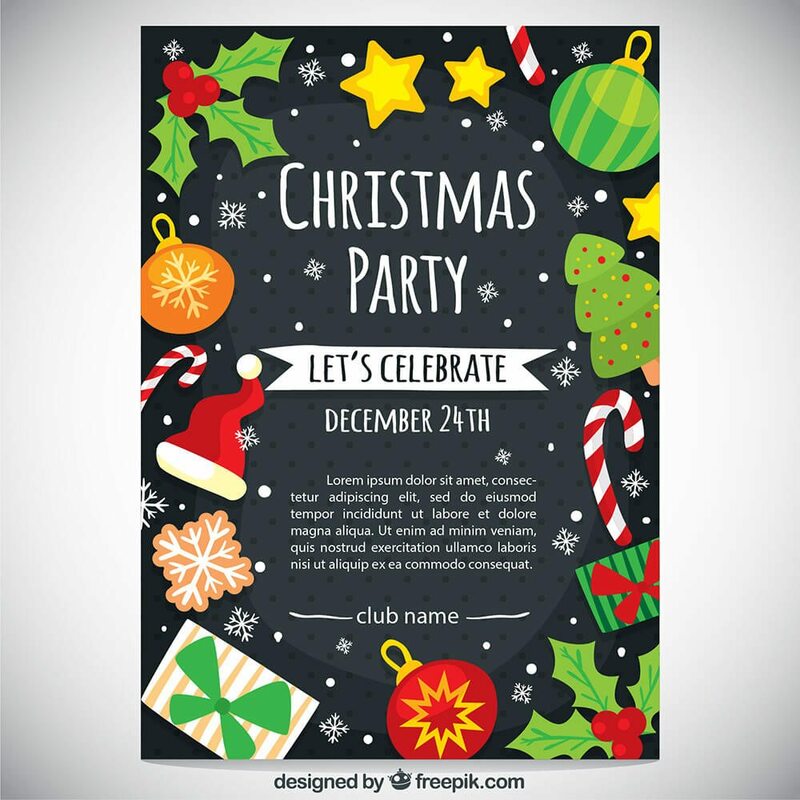 This Christmas flyer template is perfect for promoting your holiday parties, DJ events, dance events, and more. The PSD format templates can be easily customized to change colors and rearrange elements as well. 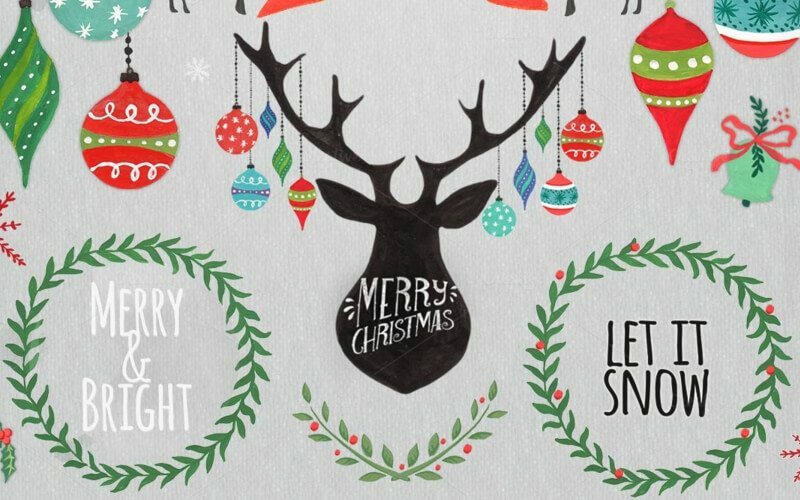 A big pack of 100 doodle style Christmas elements. You can use these to style your websites, design greeting cards, flyers, and do much more. The icons are available in EPS, PNG, AI, and SVG file formats. 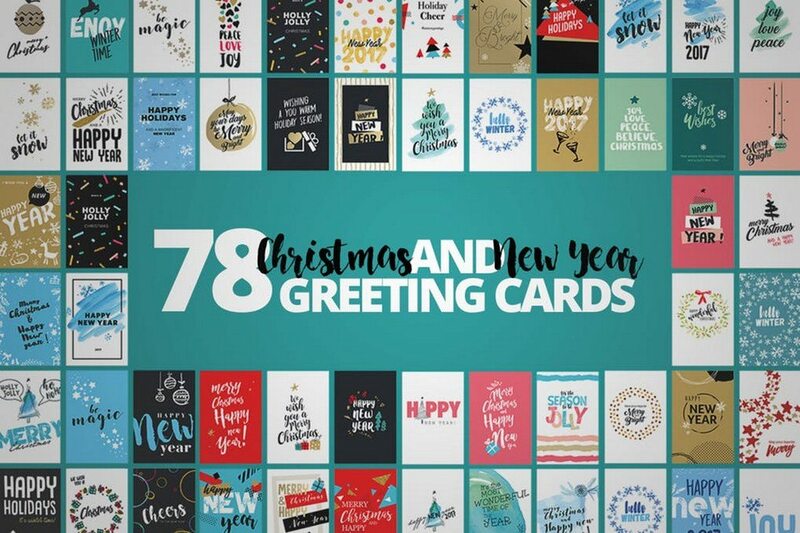 This is a massive bundle that includes dozens of Christmas cards, text effects, Christmas photo cards, elements, and holiday flyer templates worth of $78, all in a 500mb pack for just $19. 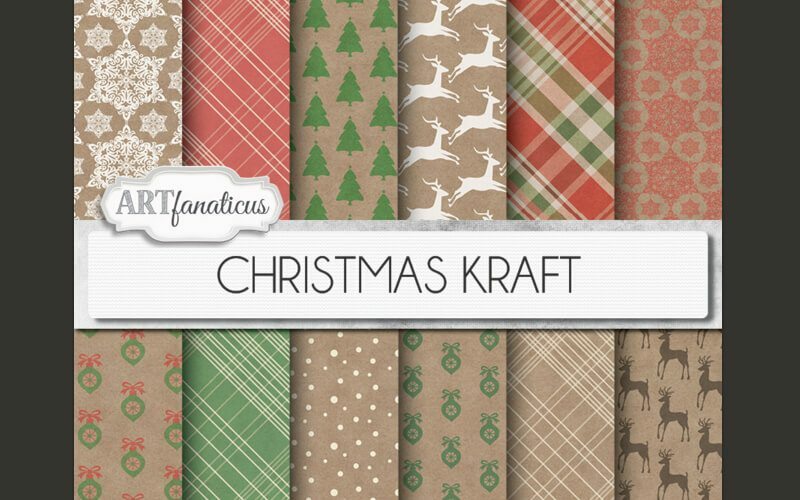 With over 125 Christmas elements and 16 background patterns, this pack will provide you with everything you need to craft all sorts of Christmas related designs. 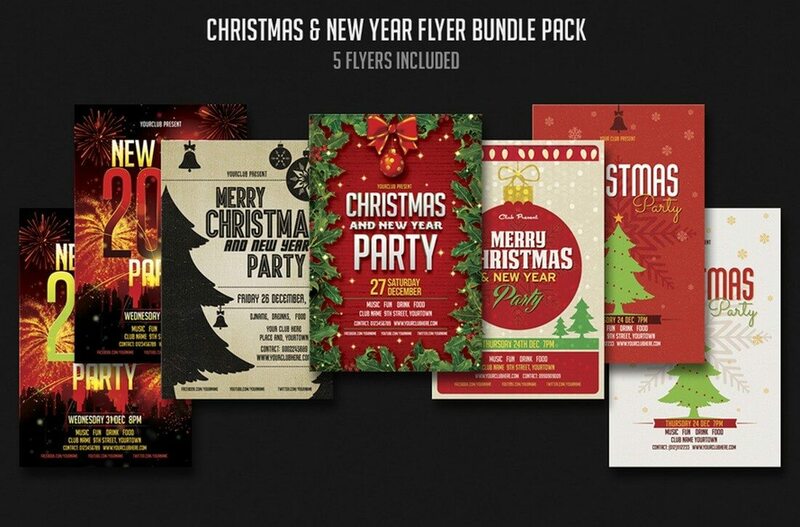 This 5-in-1 flyer bundle comes with five beautiful Christmas flyer designs and a new year flyer design, all in 4×6 size. 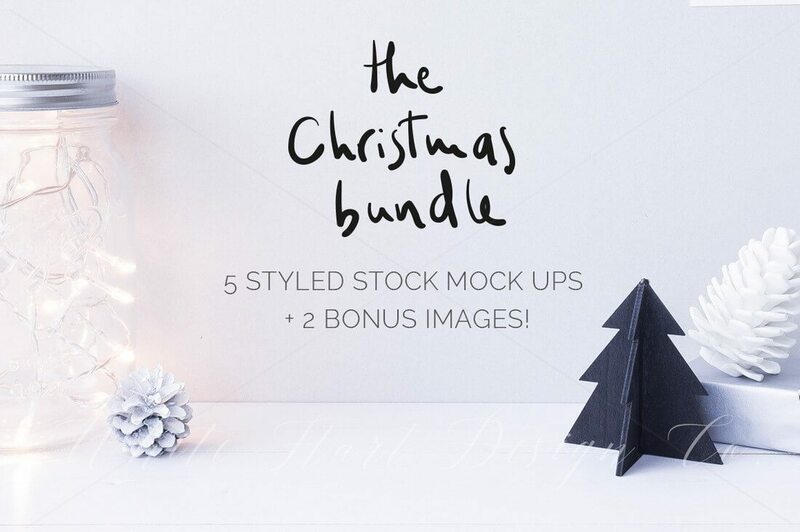 A bundle of 7 modern and minimalist Christmas-themed mockups for showcasing your artworks and products. It includes 3 frame mockups for US size frames (8×10″), 2 front view stock photos, and 2 overhead flat lay stock photos. Featuring 18 stunning character illustrations, 30 floral elements, 10 festive borders, 26 decorative goodies, and much more, the Holiday & Christmas bundle will definitely bring out the joy in your designs. This pack includes plenty of beautiful Christmas icons and elements, which you can use to design all sorts of Christmas themed banners, cards, and more. 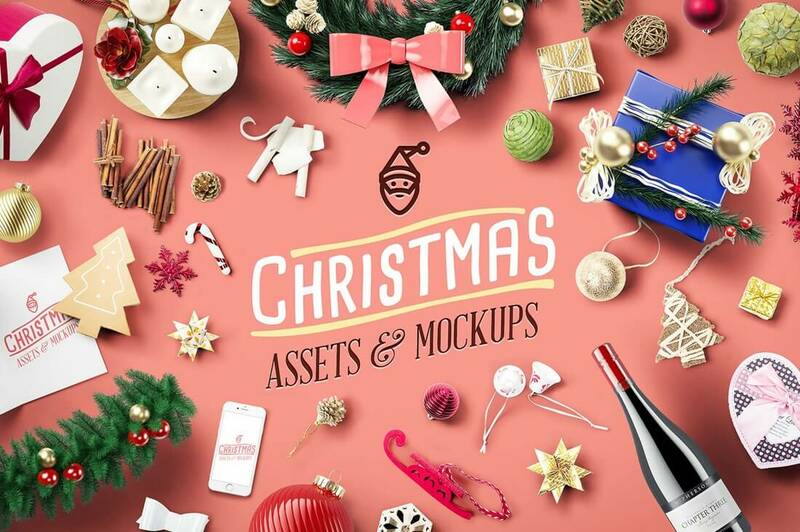 This massive bundle contains 106 Christmas asset photos, 13 greeting card mockups, 10 device and frame mockups, 26 3D rendered text, hero images, and much more. In addition to 50 adorable doodles, this Christmas pack includes 13 greeting card templates, 3 patterns, and an Advent calendar. Polar bears make everything look adorable. 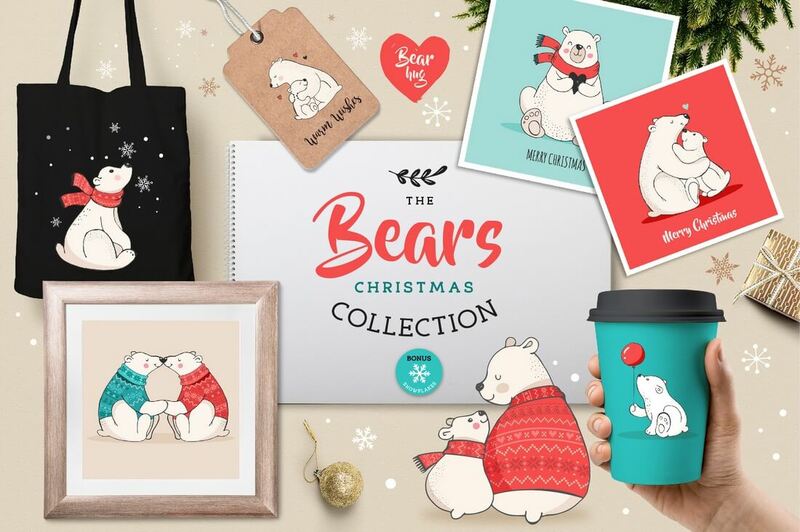 This bundle features 8 cute polar bear characters, 12 greeting cards, 3 patterns, 7 labels, and more. 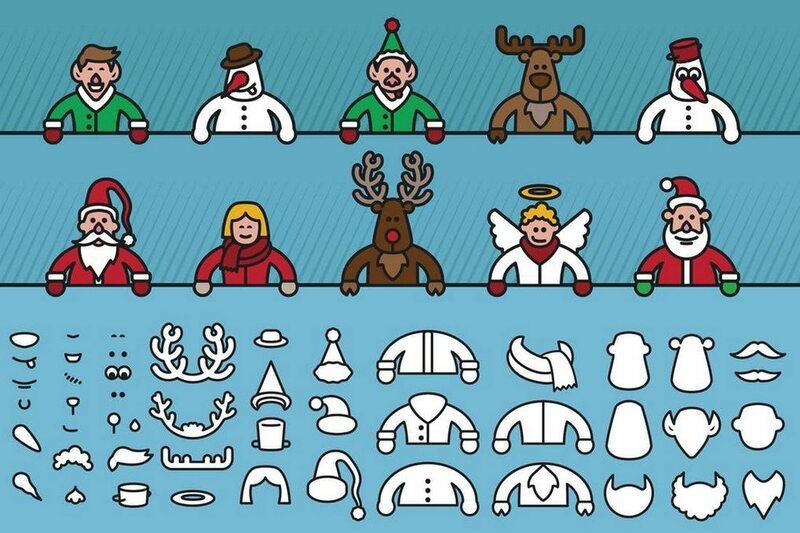 This pack comes with 75 Christmas and 55 New Year’s icons, all hand-drawn. Each icon in the bundle is available in 4 different graphic styles. 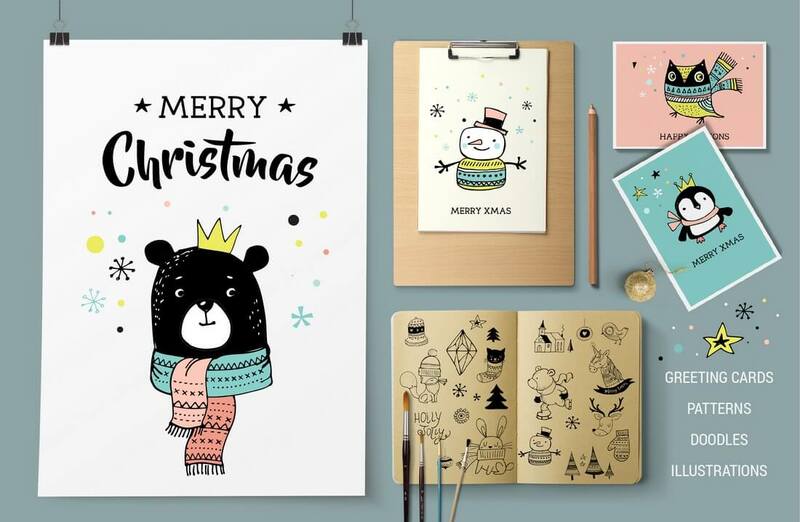 This cute Christmas bundle includes 16 character illustrations featuring a Dog, Santa, Bear, Penguin, and more. It also includes 40 Christmas items, 10 hand-drawn decorative elements, and many others. 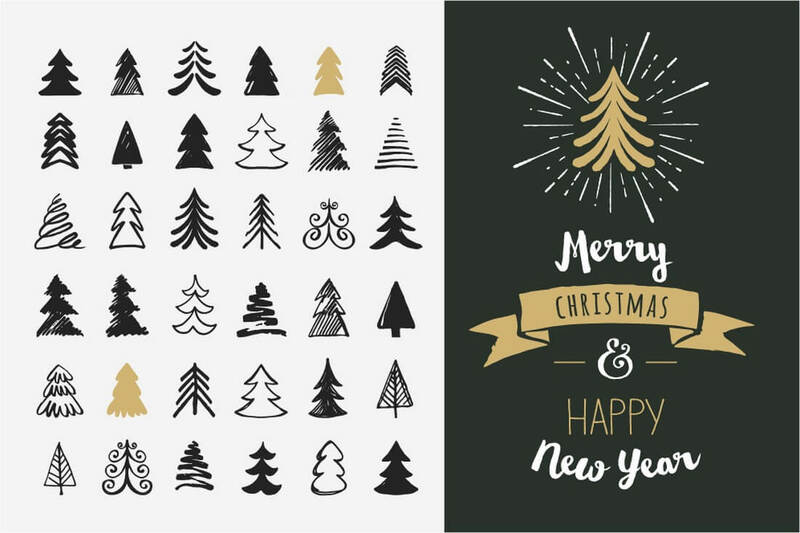 This hand-drawn pack includes over 30 different Christmas tree elements, shapes, and icons in vector and PNG formats. 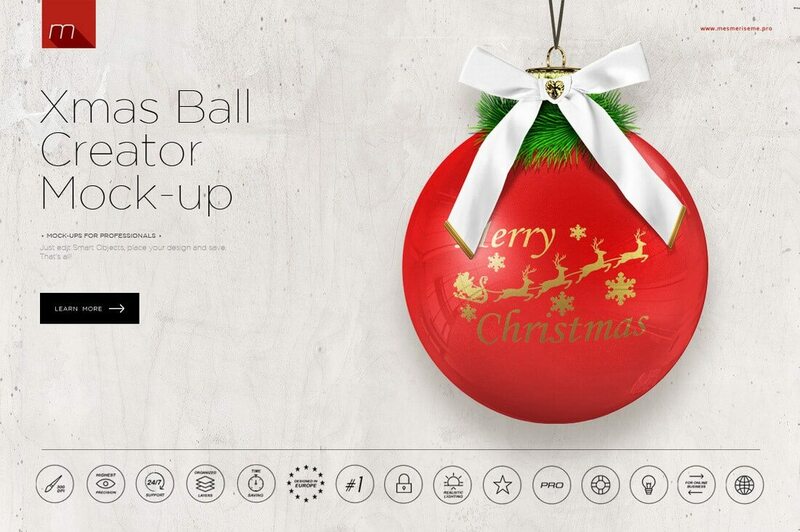 Christmas Ball Card Creator is a mockup that allows you to customize and create your own unique Christmas ball designs. You can change its color, change patterns, add elements, frames, and do much more. Create your own unique Christmas story with this creative Christmas characters set, which comes with over 30 different elements. Noël Christmas Collection takes an interesting approach to Christmas design. Instead of the predictable Red-colored Christmas designs, this collection adds a whimsical look to all of its 180 items. This set features 58 different Christmas clipart elements including a cardinal bird, a chickadee bird, poinsettias, flowers, leaves, a pine cone, and a whole lot more. 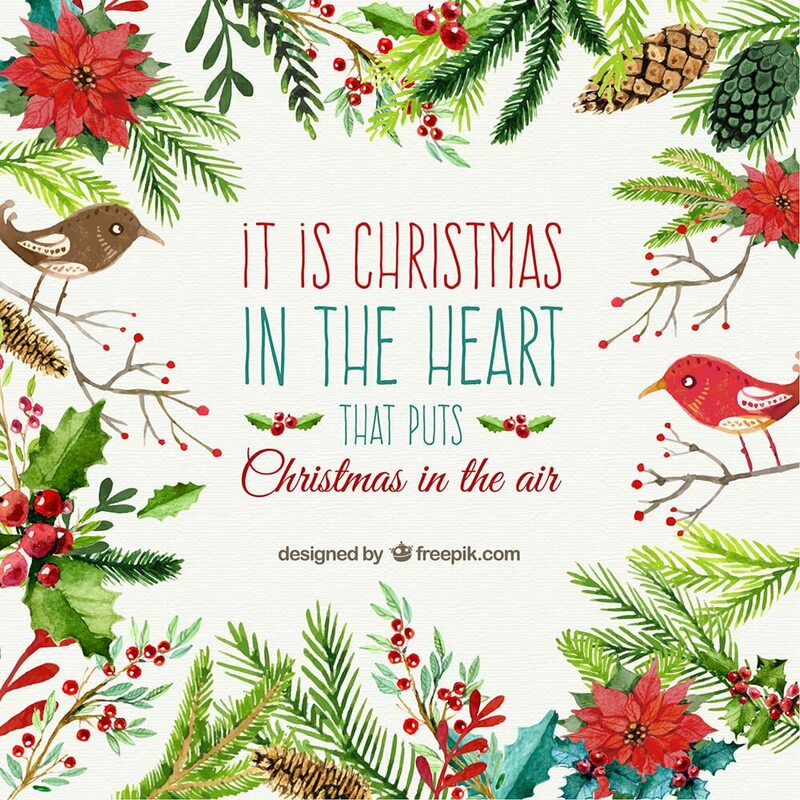 These stylish Christmas quotes will fit in nicely with your Christmas card designs or flyer designs. The pack contains 5 hand-drawn quotes in shapes. This pack includes 25 designs of Christmas wreath and frames. 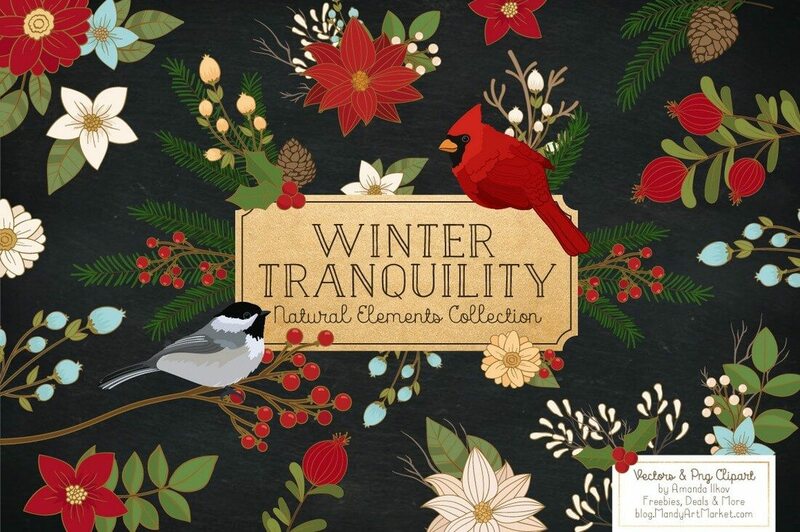 Perfect for designing Christmas related invitations, newsletters, cards, and stationery. 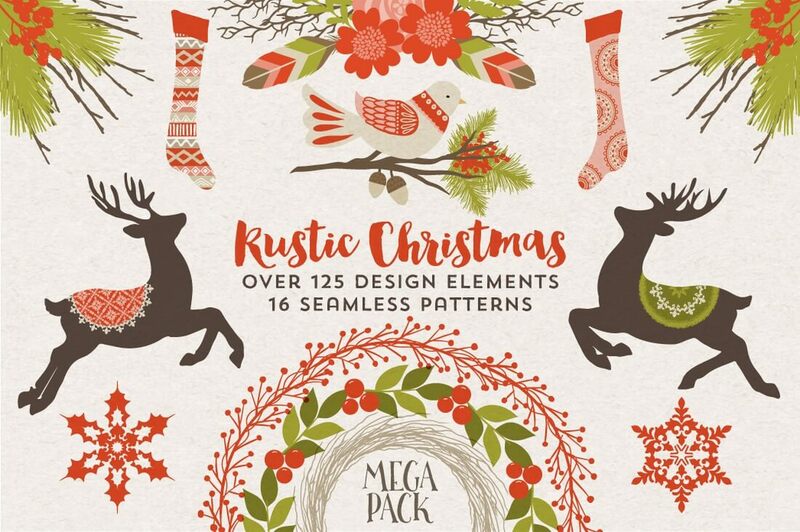 In this bundle, you’ll get over 100 Christmas elements, 5 Christmas card designs, and 2 seamless patterns, all in one affordable pack. No need to design your own Christmas cards. 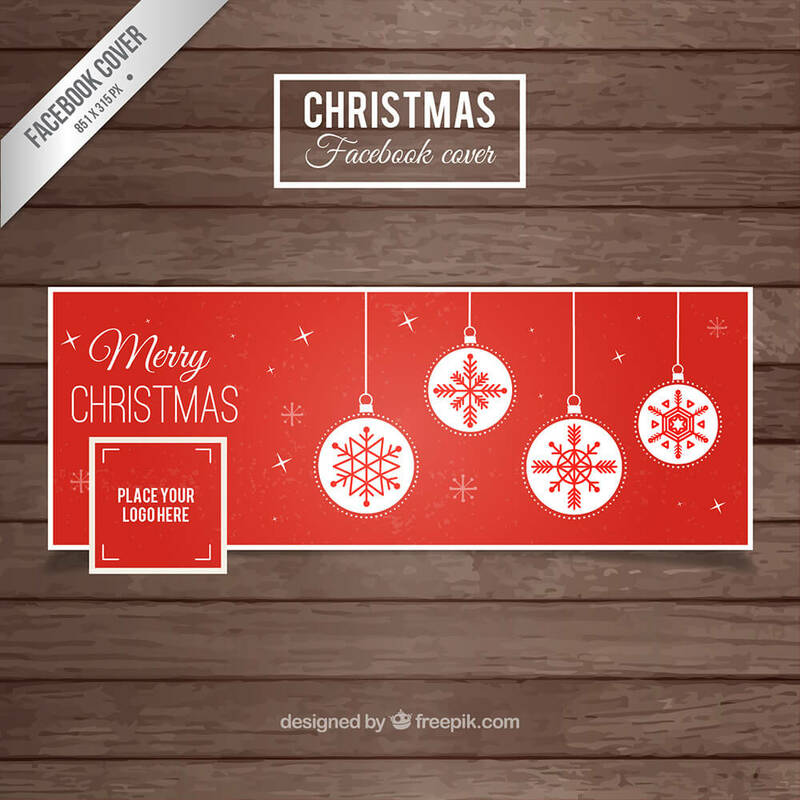 This pack includes 20 card templates for both Christmas and New Year. and 1 chalkboard background 12″x 12″ JPG file. A photorealistic Christmas wooden mock-up. Very high photorealistic christmas wooden sign mock-up to display your design & logo professionally. Festive strands of Christmas lights for decking your digital halls. Add some holiday style to your blog, light up your party invitations, or create some Christmas packaging for your gifts. This big set includes on set of lights with green strands, and one with white, for a total of 28 PNG files. The one EPS file is of the green set so you can change up the colors. Christmas party invitation with ribbons, stars and flowers. Two different color variations included – beige and green. You can use this template for your HOME party or club party to invite friends, relatives and other people. Easy to edit the text and font. 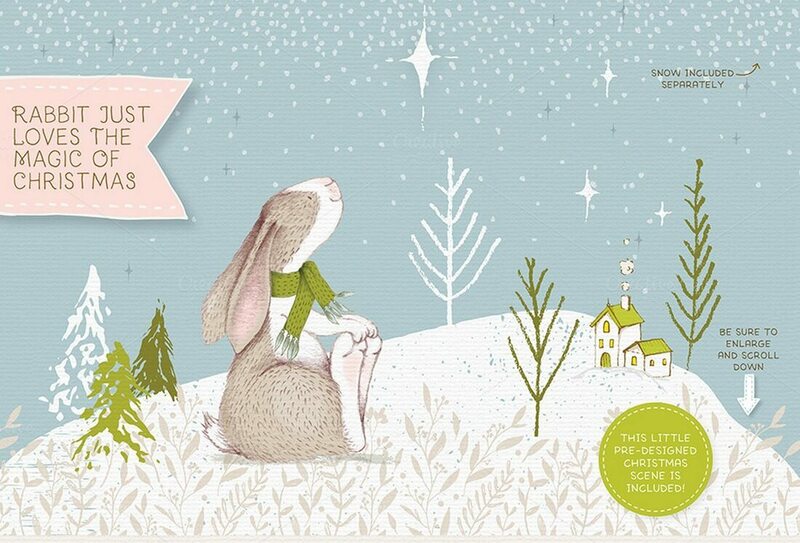 This big collection is all you need to make all of your Christmas and winter holidays stationery. A total of 113 + 2 hand painted watercolor elements, patterns and backgrounds – all in co-ordinating colors and high quality. 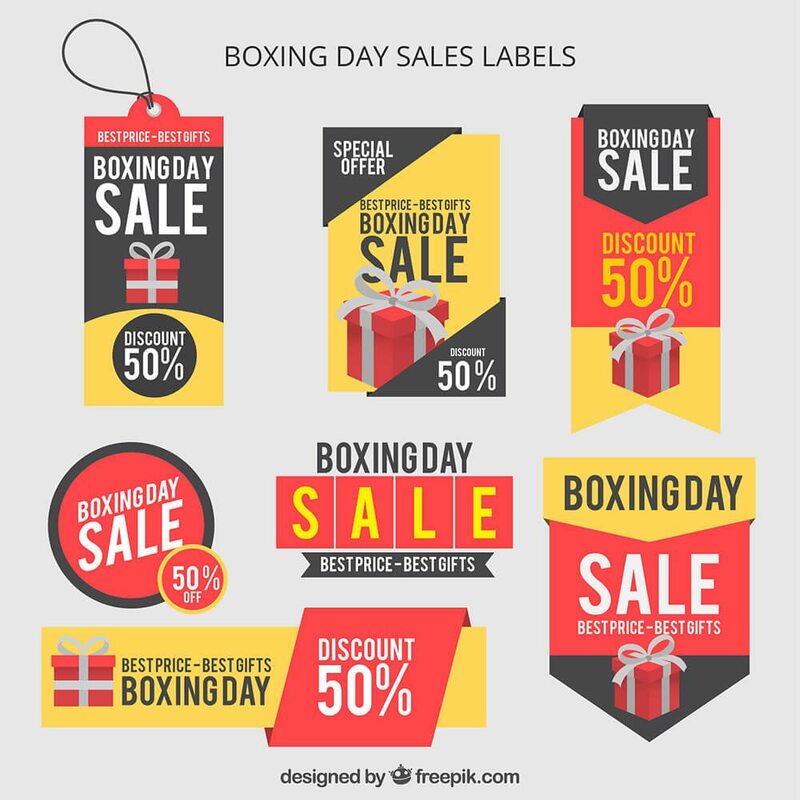 A vector set containing multiple infographic elements for Christmas. 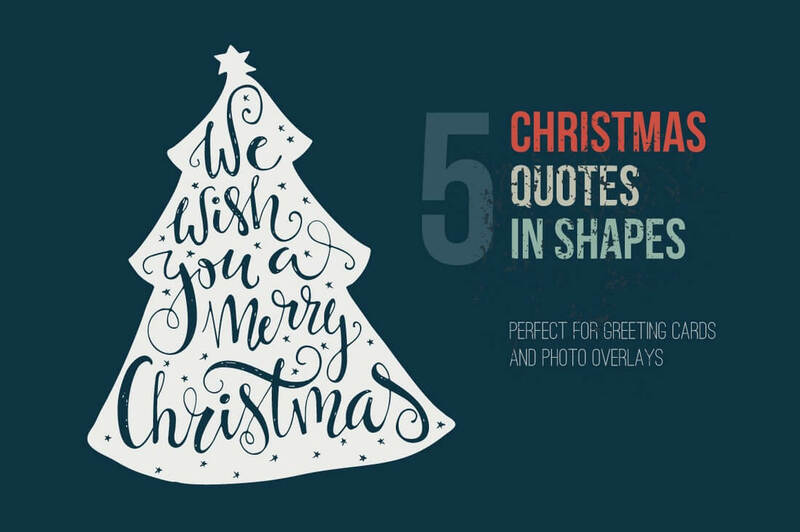 If you’re looking to design your next Christmas theme infographic then this pack will be perfect for you. 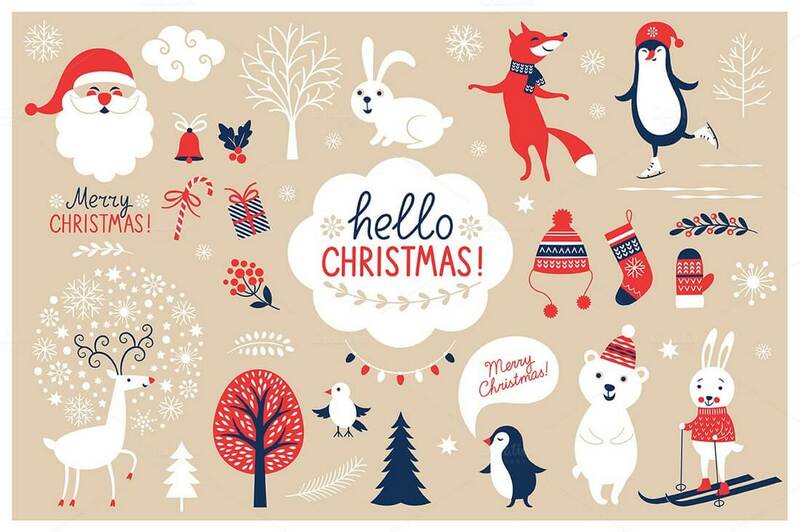 This package, with a brand new hand-drawn elements, contains everything you need for Christmas design. You can create greeting cards, invitations, party designs and so much more. The PSD file is very well organized in folders and layers. You can modify everything very easyily. Changing the color style, pictures and the typo is no problem. The main folders that will require most customization are highlighted in different colors. 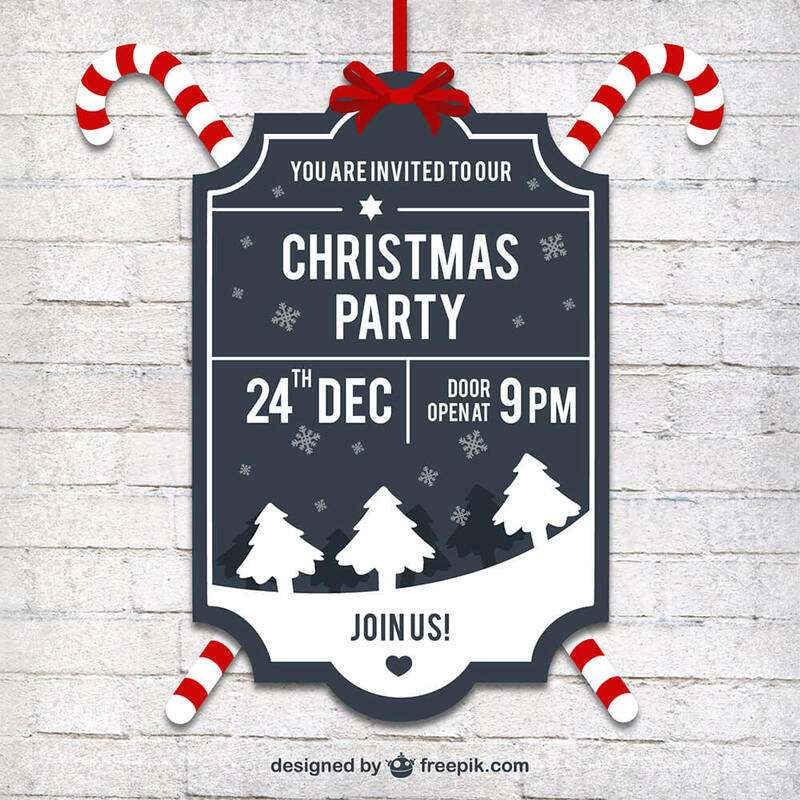 This Christmas party flyer template is very modern PSD (Photoshop) flyer that will give the perfect promotion for your upcoming event or nightclub party coming up on Holidays of Christmas and New Year. All elements are in separate layers and text is editable. 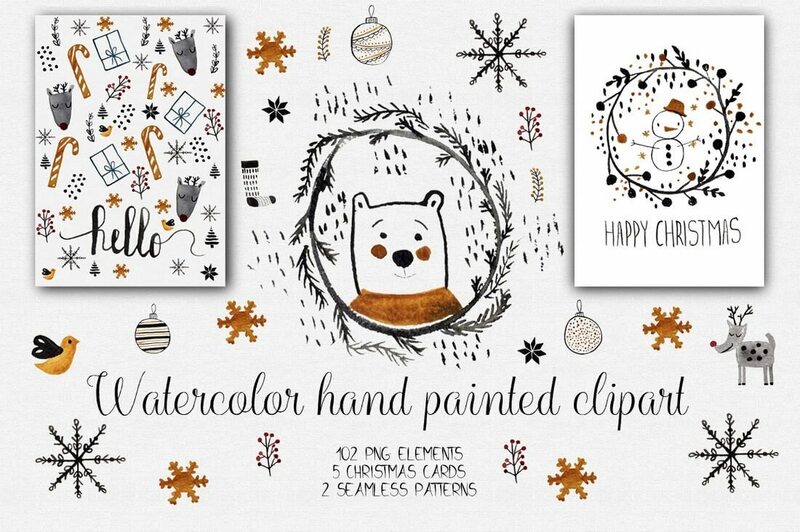 Cute doodle Christmas design kit. The elements are very easy to combine and will help you in making your own designs. Perfect for making invites, invitation cards, and much more. The pack includes 6 PNG files (1000 x 1000 px) with transparent background so you can easily pick your own color to match with your project. The design is for your personal use or small crafts business. A wonderful set of 10 beautifully designed Christmas backgrounds that you can use for a number of design purposes. 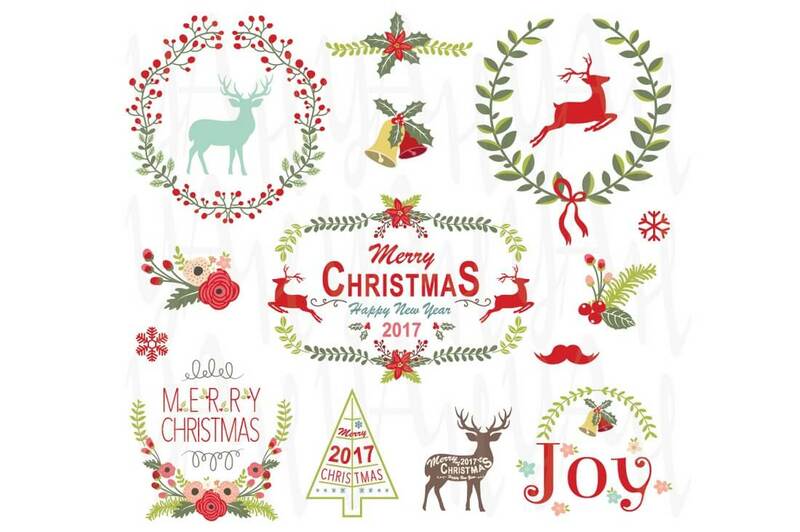 Our Christmas Holiday Floral Clipart set includes 40 PNG files with transparent backgrounds, 40 JPG files with white backgrounds and 1 Adobe Illustrator vector file containing all 40 images in vector format. The PNGs and JPGs are 300DPI and approximately 10 inches at their widest point. This collection is perfect for printed paper products, handmade craft items and web design. 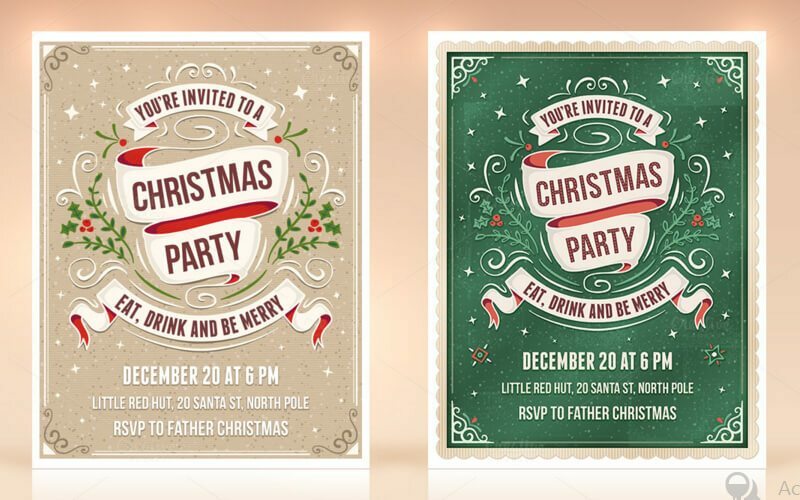 You can use these invites for a number of purposes and occasions on Christmas. Big cartoon Christmas pack that includes 4 cute characters, 17 Christmas symbols and 1 seamless pattern with 4 different backgrounds (vector EPS + PNG swatches). A beautiful set of Christmas Holiday watercolor designs, background and patterns to decorate your holiday projects! Use them in personal craft or in small business as a part of your own creative composition. Product contains ZIP folder with high quality PNG and JPEG clip art pictures. 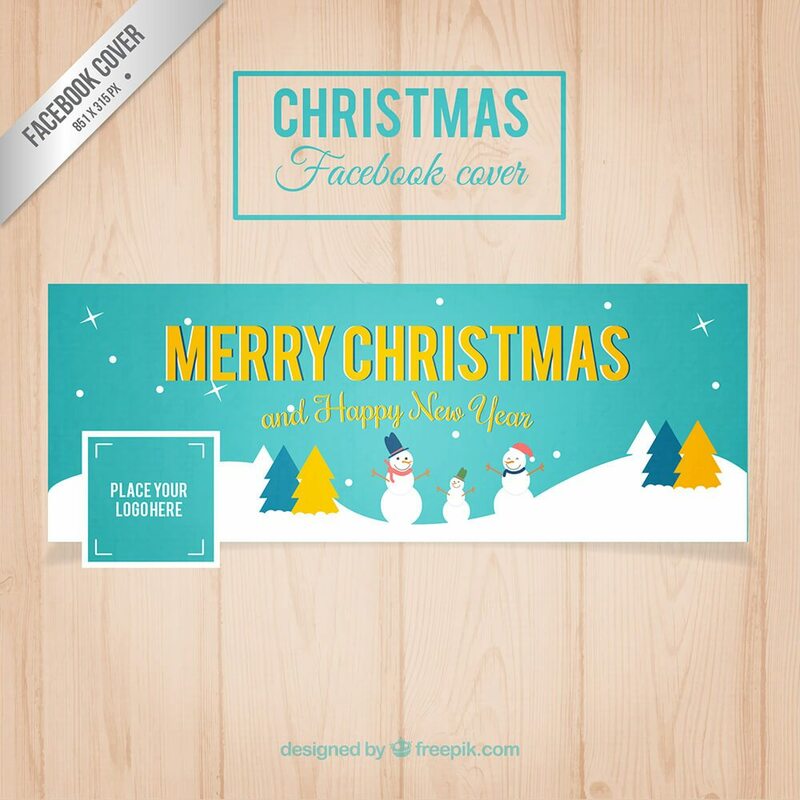 Minimally designed Christmas banners that you can add to your websites or even Facebook profiles. Authentic, 1940s and 1950s Christmas illustrations scanned in high resolution. Carefully checked for copyright, thoroughly restored and ready for you to use for all kinds of personal and commercial design projects. Christmas and holiday overlays with hand drawn and textured greetings and distressed textures. 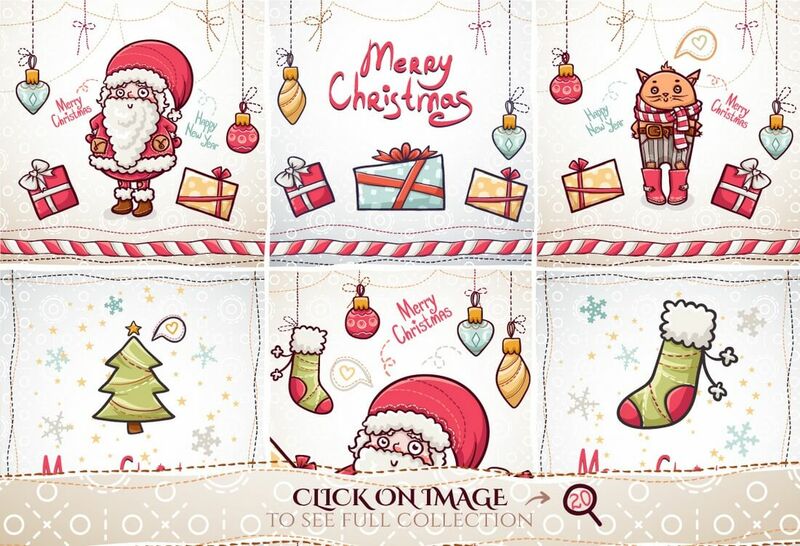 18 Christmas digital papers in red and white colors. Each pattern is seamless and can be tiled seamlessly in any directions. JPG files at high resolution with 300 DPI. Vector files can be resized without losing quality and can be recolored easily. Twelve beautifully designed digital papers, saved as 300 DPI, 12 x 12 inches JPEG. 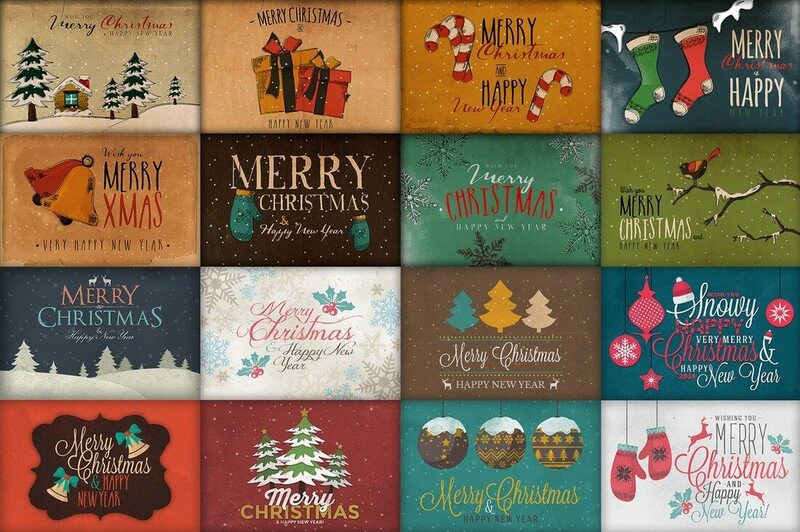 You can use these backgrounds for your next Christmas based design projects. 50 elements (JPG on white background, 300 dpi). 20 different individual branches (12 branches of pine, 2 holly, mistletoe bush 1, 2 bumps, 3 branches with red berries + some red berries). 2 glasses of mulled wine (+ 2 empty glass glasses). Spicy ingredients for mulled wine (2 apples, ginger, cloves, anise, 3 orange slices50, vanilla, cinnamon). Sweets (biscuits in the shape of stars, cookies with chocolate, marshmallows, candy stick, cookies). This template is perfect for a club or party flyer format. It is a very modern & unique design. You can very easily understand the editing format as the pack includes the help file. Cozy collection of Christmas light illustrations that you can use in different formats such as borders, frames, backgrounds and greeting cards. Each brush is fully “stitched” for versatility so that you can use two colors or reverse the pattern for a block “stitch”. Set includes 30 pattern brushes. 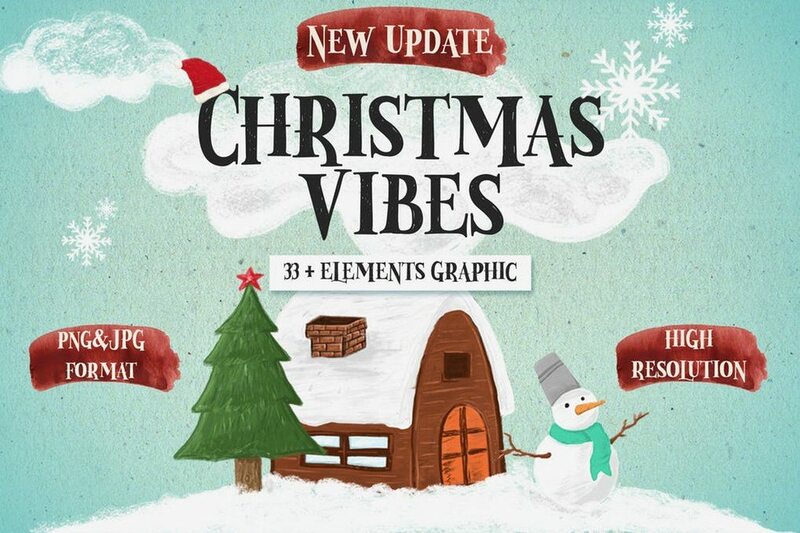 This pack is filled with icons, labels and many design elements based on Christmas format. All elements are organized by layers. It’s easy to hide or move any element. This pack includes 32 high quality and resolution icons that come in following formats: SVG file, PNG file, Ai file and EPS file. Hand painted wreaths and other floral elements are the perfect illustration for your Christmas cards, Christmas tags and other your Holiday ideas. Set of 11 vector brushes festive strands of Christmas lights makes it quick and easy to customize your holiday projects. These can be used on illustrations, cards and almost any similar design formats. This collection contains amazing Christmas backgrounds made with creative snowflakes that you can use in your greeting cards or other designs. This set includes 37 high-quality elements, that will be very helpful in creating gift cards, apparel prints, posters, presentations and so much more. 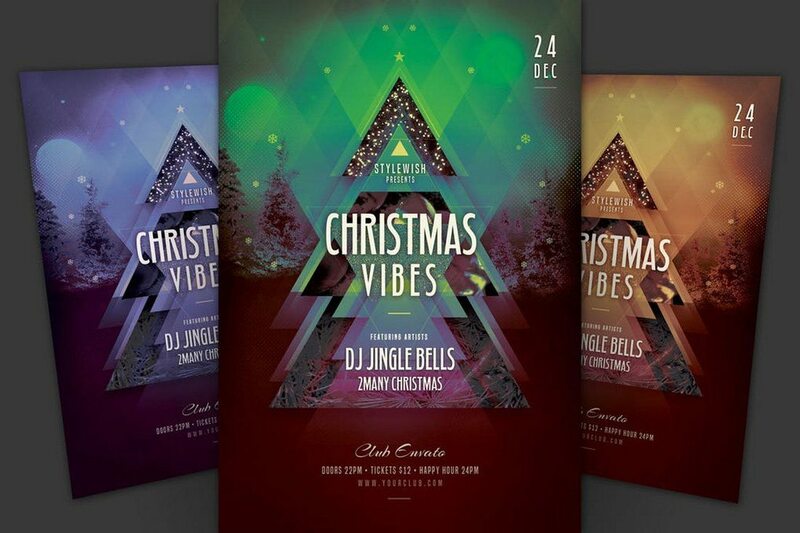 These beautiful Christmas flyer templates are very easy to customise. All of the elements are isolated on different layers and the text is fully editable for each flyer and facebook cover. So you can use the fonts we suggest or use your own if you wish. Perfect for making invites, invitation cards, Seasons greetings cards, Christmas cards, party decorations, party favor tags, label stickers, scrapbooking, stationary, gift wrap, packaging, t-shirt, baby clothes, buttons, pendants, holiday gifts, print on fabrics and so much more. 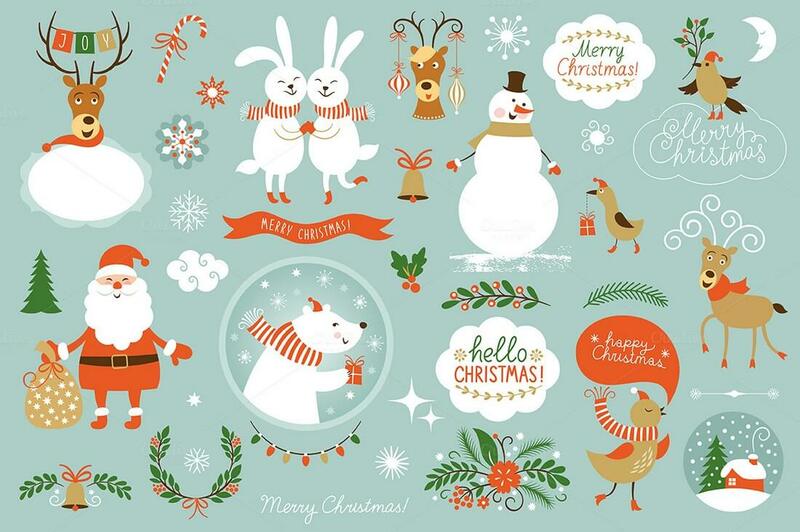 You can incorporate these Christmas illustrations into your creations. Included illustrations can be used in and out of the Christmas season, making this set an all-year-round resource. 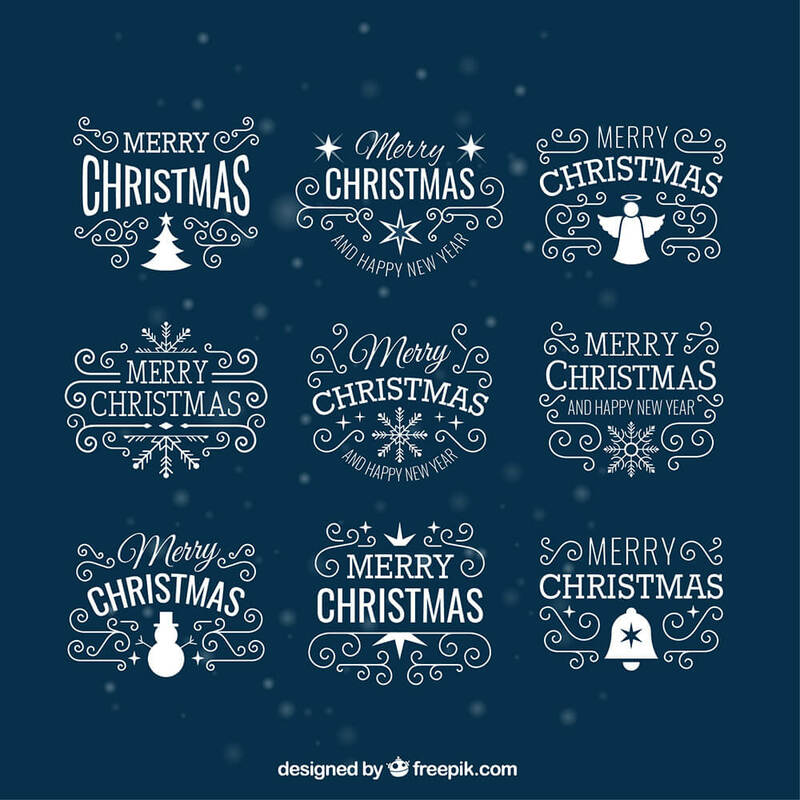 This Christmas clipart pack contains 44 separate seamless elements that you can use in your Christmas related designs. All elements come in vector format with 300 DPI. This set of images can be used for printed paper products, web design, digital or paper scrapbooking, stickers, magnets, or invitations. 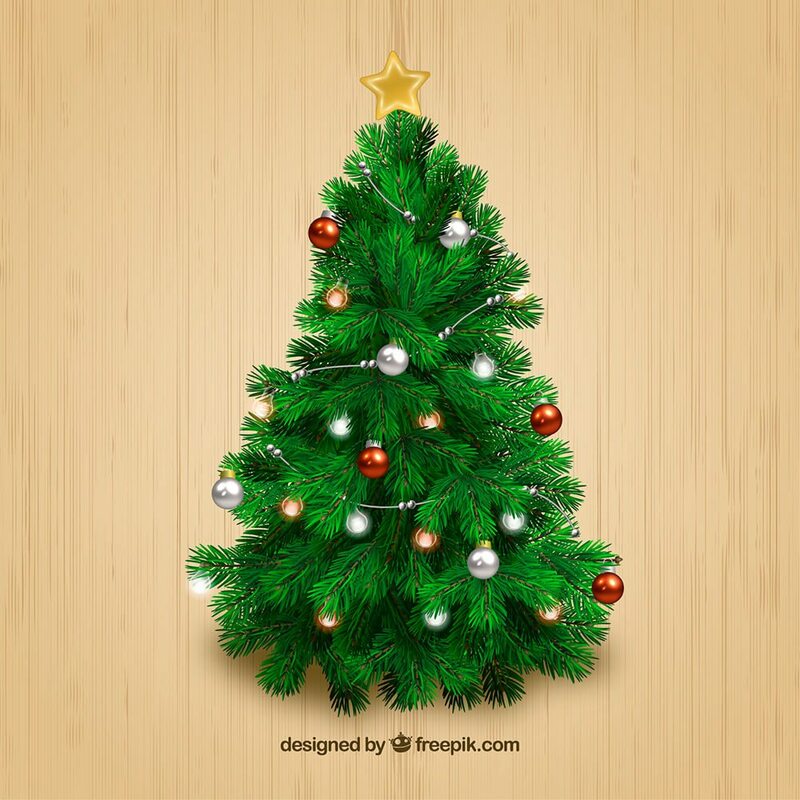 A collection of mod Christmas trees and snowflakes in red, green, pink, silver, and gold. Pack contains an EPS file and also JPGS and PNG files of each tree. You will get tons of watercolor paintings and ready print greeting card designs with this pack. All of them specially painted and scanned in high resolution. And also specially cleaned backgrounds with tablet on Photoshop. You can use with any colored grounds. A Christmas collection of graphic elements. 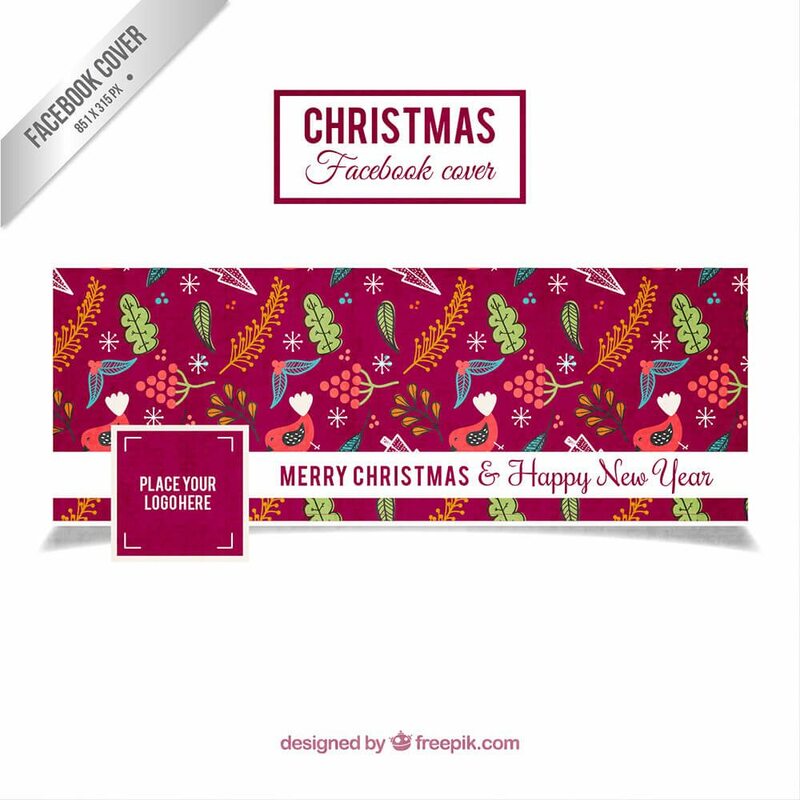 Perfect to create greeting cards, invitation, stickers or other Christmas designs. Christmas cats for your holiday designs, greeting cards, invitations, web graphics, scrap booking, posters, blogs and banners. Hand drawn Christmas doodle seamless borders for decorative design, cards, winter backgrounds, gift tags and labels. 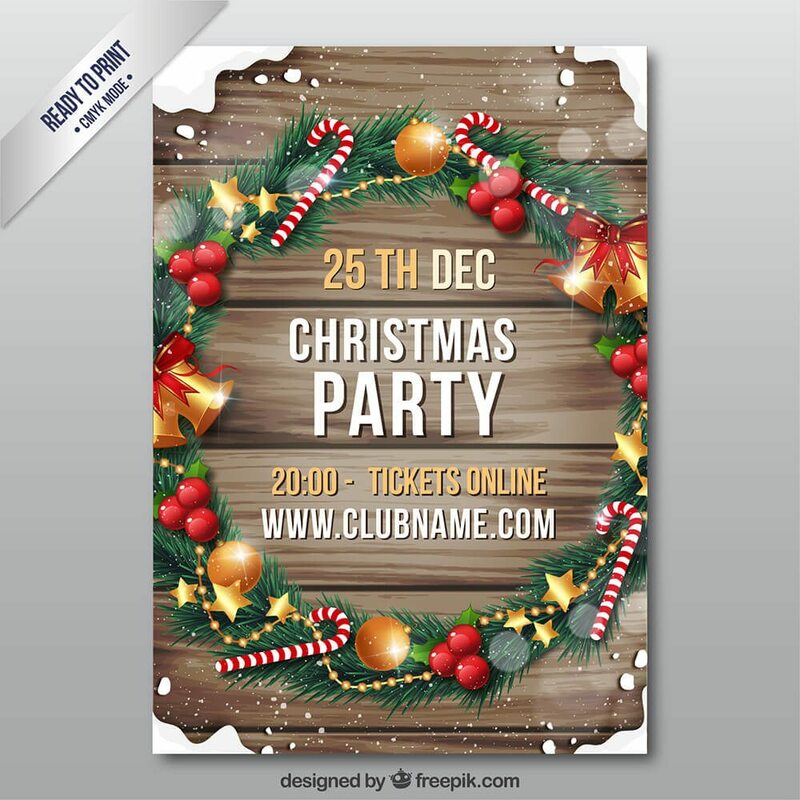 A Christmas and Winter Party flyer template, with 2 Photoshop layered files. It’s fully editable, and CMYK print ready. 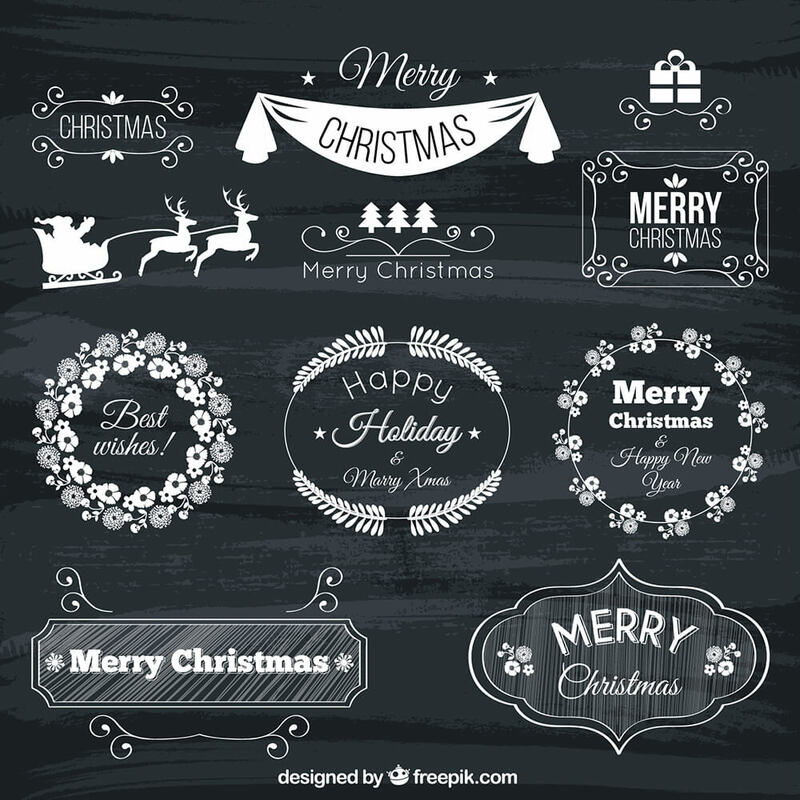 This set comes with 18 hand drawn Christmas decorative graphic elements. 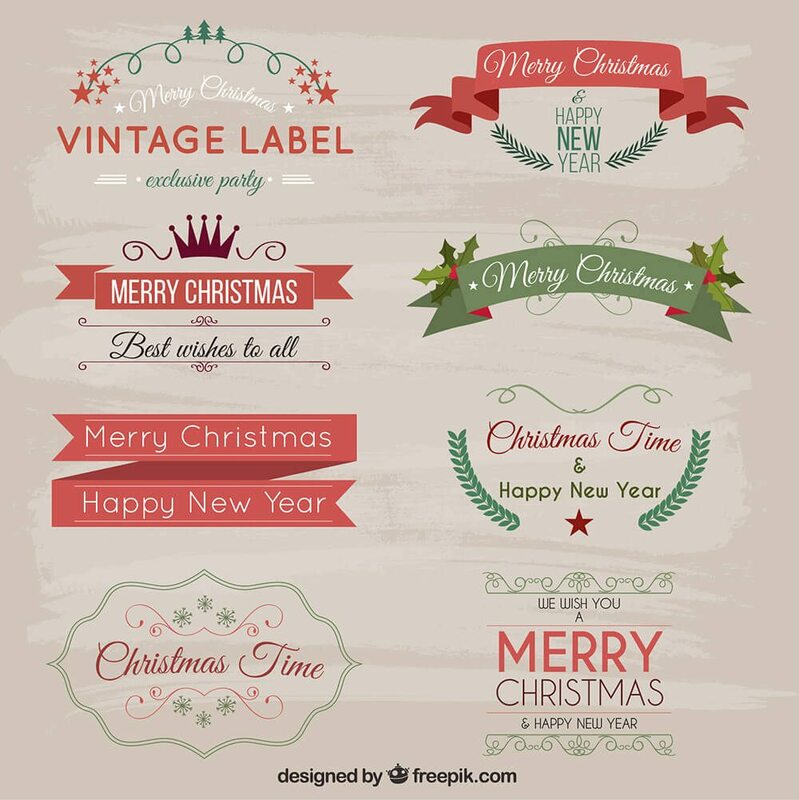 You can use these graphics to create your vintage Christmas cards, invitations, gift tags, gift wraps, cupcake toppers, web graphics, scrap booking and a lot more. Set of watercolor posters on Christmas theme. Watercolor elements different kinds of drawing. On crumpled paper, chalkboard and on kraft. All ilustrations are in vivid and very colorful. Font is located on a separate layer. Christmas lights on dark background. Pack contains vector set with Ai and PSD format. 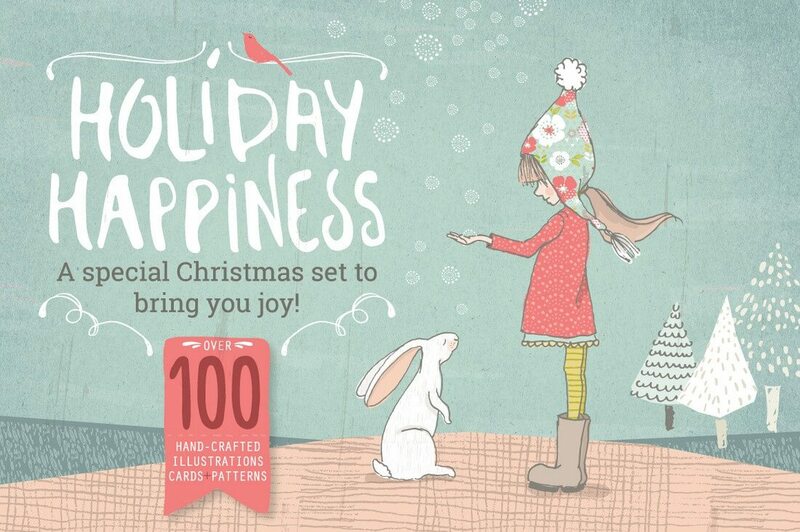 Christmas Collection with cute characters and graphic elements. 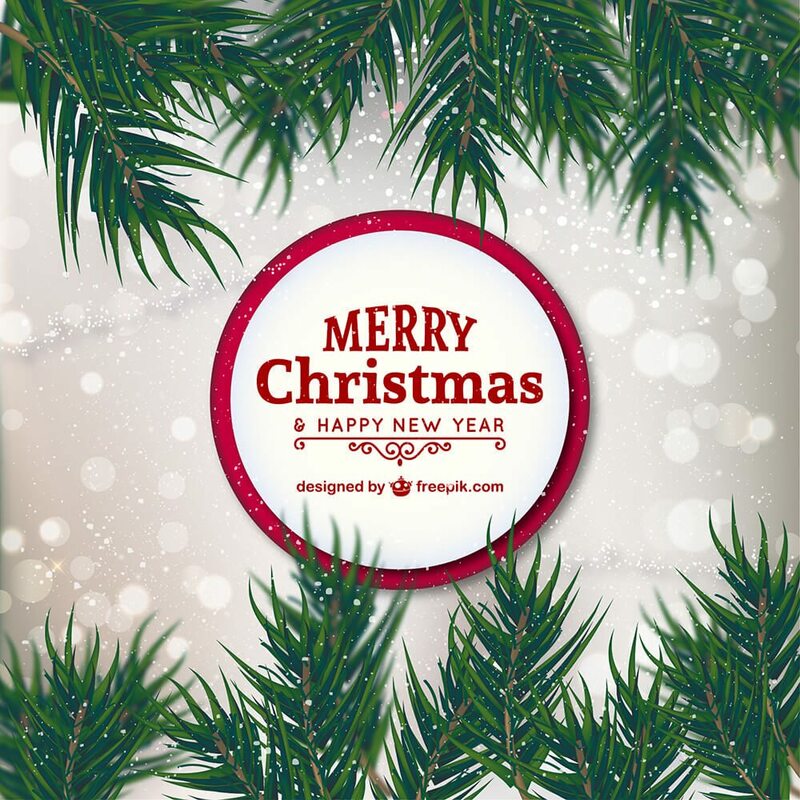 Perfect for create greeting card, invitation, stickers or other your Christmas design. All elements on a white and black background. Christmas Kraft Paper in red, green and white holiday designs on kraft paper, Christmas digital background paper with ornaments, reindeer, plaid, snow, snowflakes,Christmas tree and more. This paper has a kraft paper background texture to look like traditional kraft paper. 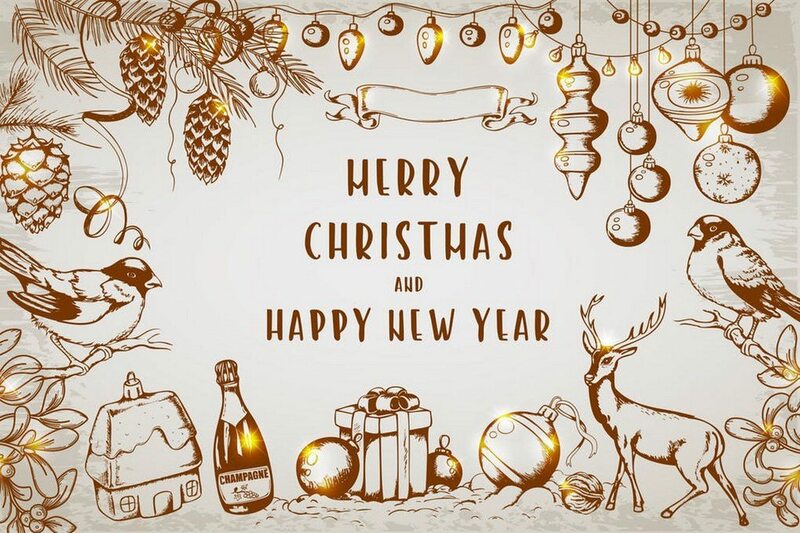 Christmas decorations: fur-tree branches, colorful glass balls, a candle, red glittering snowflakes, cinnamon sticks and anise stars on a rough wooden background with a copy space. 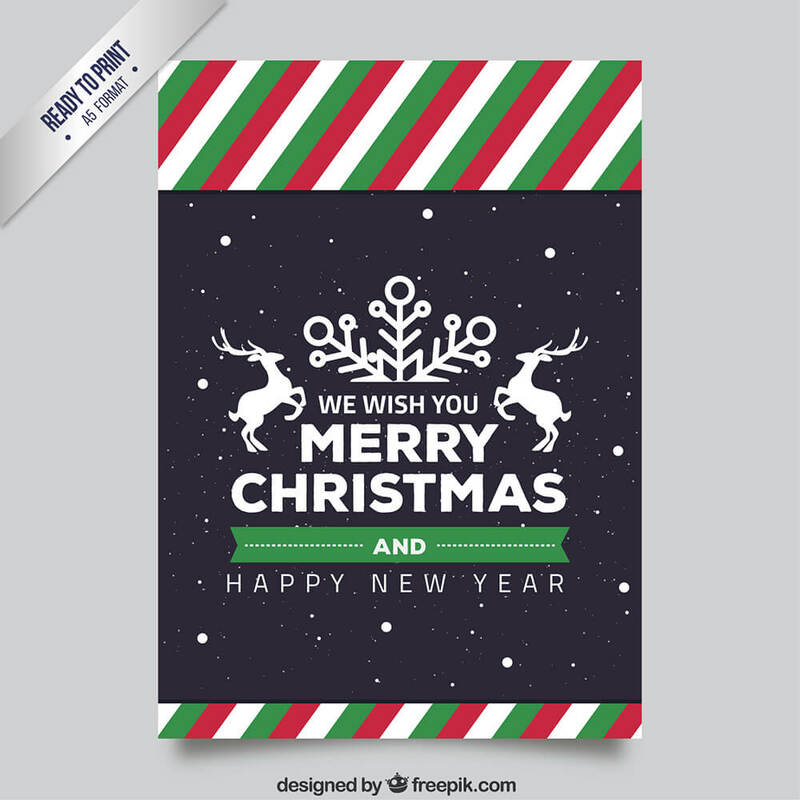 This pack contains Christmas lettering and Christmas cards with horizontal, vertical and square sizes. You can print this cards or use the web version. 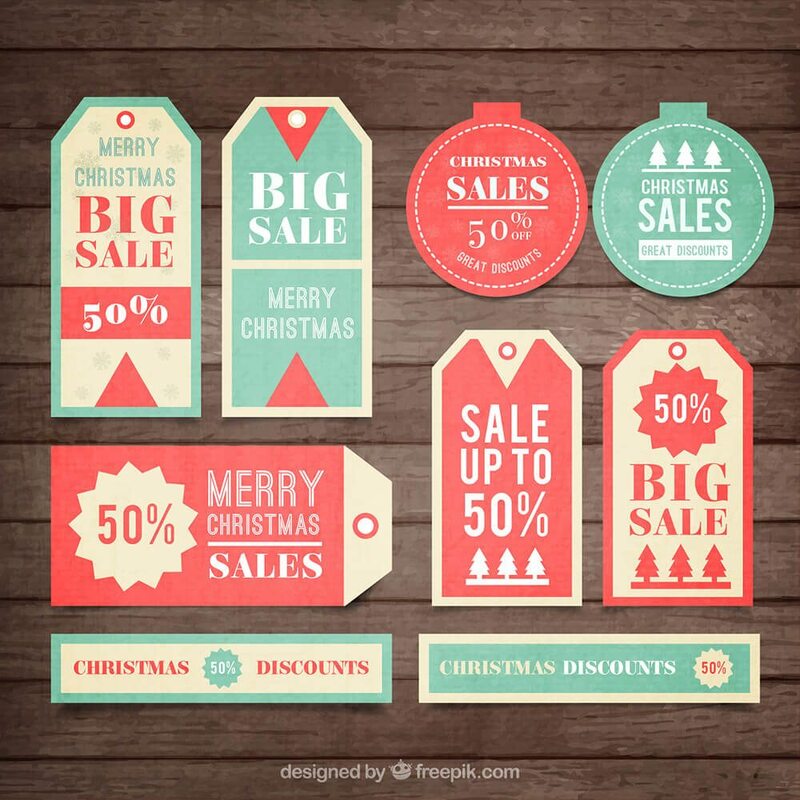 Large collection of Christmas cards, invitations, ornaments, design elements and tags. Since they’re all in vector format you get lots of ornaments, backgrounds, textures etc. that you can play around with to make your own creations. Are you ready for Christmas? 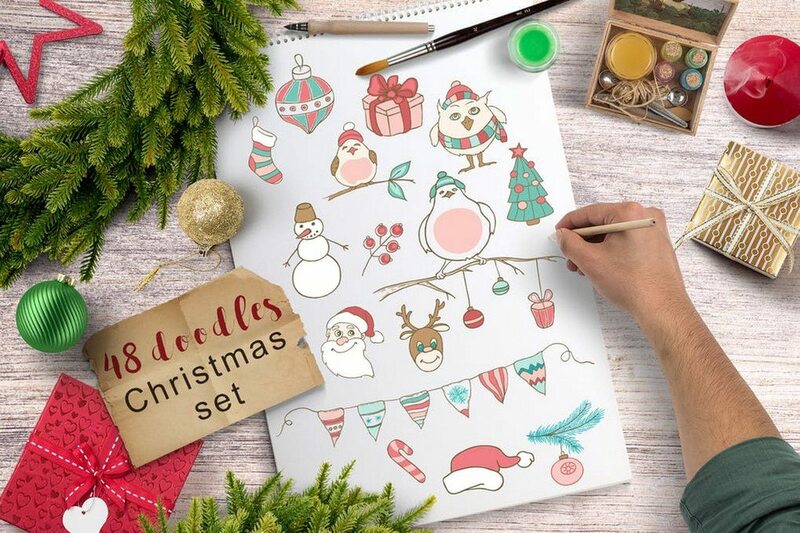 This package, with a brand new hand-drawn elements, contains everything you need for Christmas design. You can create greeting cards, invitations, party design, decorate blog, and do anything with these elements. 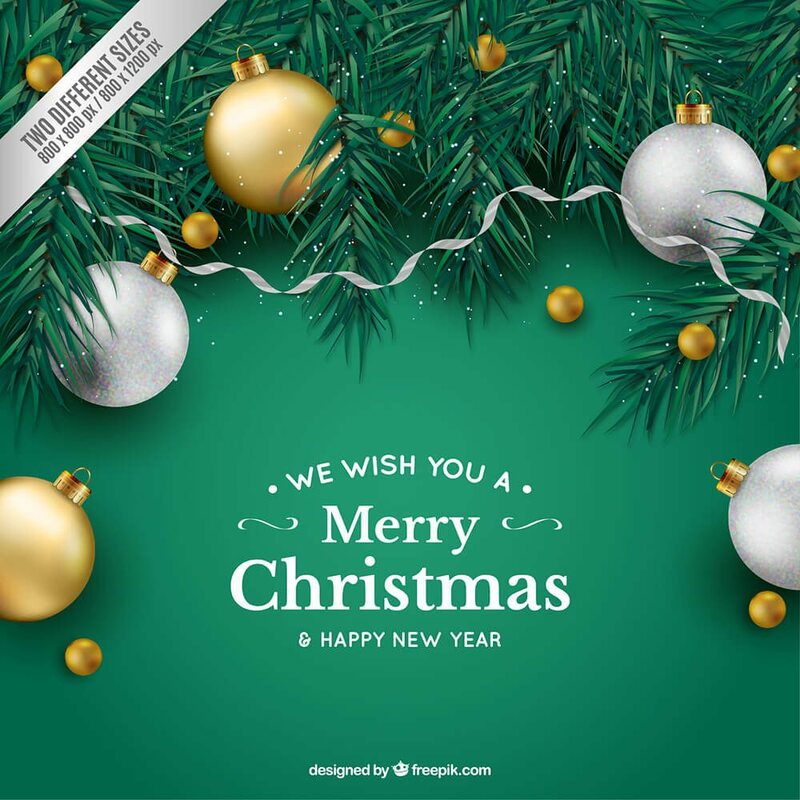 This grand Christmas design pack contains over hundreds of beautifully designed vectors, flyer designs and over 36 Christmas card designs. Watercolor Christmas clipart set is a beautiful digital set of 22 watercolor styled Christmas elements, snowflakes, deers, balls, wreaths, twigs and dividers. Perfect for winter holiday invitations, cards, baby and bridal shower invitations, any other winter invitation design, scrapbooking, cardmaking, announcement cards, blogs, logos and photo overlays.